We were already pretty sold on this year’s Bruise Cruise with Oh Sees and King Khan and The Dirtbombs and the mysterious Togas all signed on to play, but now we’re extra stoked. They just announced yesterday that our #1 dude – Mikal Cronin – will be tagging along for the ride [as will bounce artist Vockah Redu] Sounds like it’ll be a total party. On top of that, it seems like we’re in for another year of Bruise Cruise singles. Not sure when we’ll be able to get our hands on physical copies, but you can check out a brand new Quintron & Miss Pussycat song at the bottom of this post that we’re assuming will receive vinyl treatment real soon. The song’s right below that video of Neil Hamburger doing his shtick for a bunch of monkeys. Like most everything he does — it’s gold. Word is that there are only 50 cabins left for the cruise, so if you’ve been sitting on your thumbs and debating in your head whether or not to go — now is the time to act and jump on board. Literally. 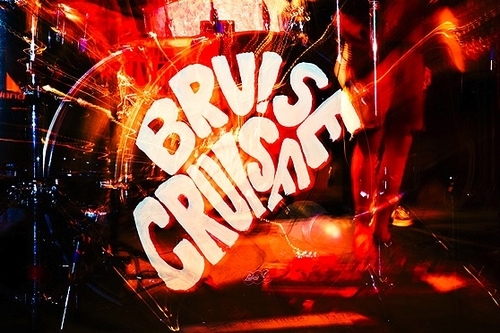 Bruise Cruise – Neil Hamburger from BRUISE CRUISE FEST on Vimeo.